The San-chieh (Three Levels) was a popular and influential Chinese Buddhist movement during the Sui and T'ang periods, counting powerful statesmen, imperial princes, and even an empress, Empress Wu, among its patrons. In spite, or perhaps because, of its proximity to power, the San-chieh movement ran afoul of the authorities, and its teaching and texts were officially proscribed numerous times over a several-hundred-year history. This study of the San-chieh movement uses manuscripts discovered at Tun-huang to examine the doctrine and institutional practices of this movement in the larger context of Mahayana doctrine and practice. 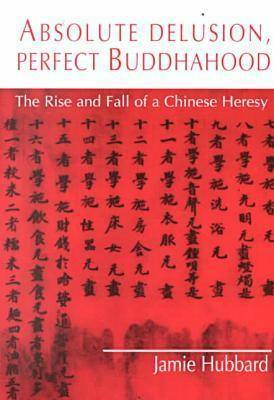 By viewing San-chieh in the context of Mahayana Buddhism, Jamie Hubbard reveals it to be far from heretical and thereby raises important questions about orthodoxy and canon in Buddhism. He shows that many of the hallmark ideas and practices of Chinese Buddhism find an early and unique expression in the San-chieh texts. One such idea, that of the decline of the dharma, was systemized as the astonishing notion of spiritual idiocy as the norm together with the precept breaking monk as the rule (ideas more commonly associated with Japanese Tendai and Pure Land thought).